Trends in home design are constantly changing. One design trend might be popular one day and not so popular the next. However, if you choose a more timeless design trend, then you can probably make it relevant for years to come. We put together a list of 4 hardwood flooring trends that are versatile enough that they’ll stay stylish years after installation. These flooring trends will have longevity in the flooring market, so you won’t have to worry about feeling outdated. Choose any of these types of hardwood flooring and you’ll be sure to wow your house guests. For those that want to go lighter instead of darker, blonde wood flooring is something you should try. This is the perfect look for homeowners that want to add a more serene feel to their home. You can brighten up a room just by adding blonde wood flooring. You can also make a room feel larger if you have a lighter flooring in place. Be sure to purchase a blonde wood flooring as is because you can’t stain a darker floor to look lighter. It is true that solid hardwood flooring is a timeless classic. You are guaranteed to always be trendy if you stick with the solid hardwood look. More people are giving their homes a modern look by choosing a darker stain for their floor. You can give a room really great contrast if you pair a dark stain floor with light furnishings. It is okay to choose a dark stain for your flooring, but make sure that you balance it out with lighter decor. You’ll also want to pay attention to the lighting in the room because that does play into the aesthetic of the room. Hardwood flooring trends these days are starting to go more natural. There has been a huge surge in getting a flooring with a natural finish. These finishes include satin and matte. Most people don’t use a glossy sheen anymore because it comes off as too shiny. They want more of a natural feel to their hardwood flooring. This trend is perfect for homeowners that are going for a contemporary look. One way to add some texture to your home’s design is by adding textured wood floors. Wirebrushed wood or handscraped wood are both textured wood trends that seems to be popular among homeowners. Adding texture to your wood flooring makes each plank look like it was specifically handcrafted for you. This is a great way to really wow your guests when they come visit your home. These are all hardwood flooring trends that we think you should try out. It’s a great way to add more style to your home. 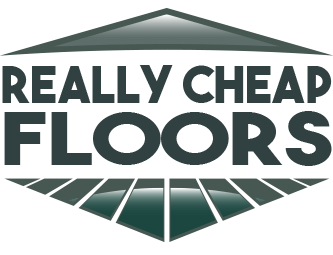 Check out our affordable hardwood flooring options at ReallyCheapFloors.com to see what catches your eye!